“The whole world is one world and Kythera is a different world!”. Our suggestions about the most spectacular spots on the island. Trust us! The capital is located at the south, perched on a hill. At the edge you see the medieval castle with the palace, the mansions of the aristocrats and the church of the Virgin Mary. Visit the town, stroll along the narrow streets and buy some traditional products from local stores. Do not forget to visit the small Folklore Museum housed in the Cultural Centre of Municipality of Kythera as well as the Permanent Exhibition of Blazons hosted in the hall of the Governors of the Castle. 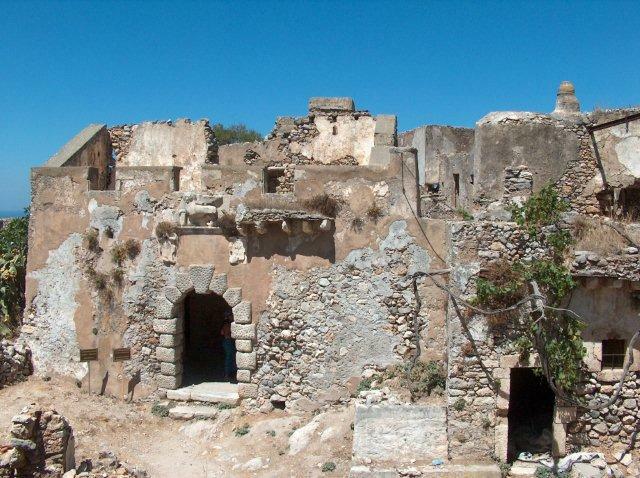 You must also visit the Historical Archive of Kythera which is the most important in Greece with archives dated back to 1500. Enjoy your coffee or juice in the square of Hora and then try to photograph some beautiful towers and mansions found in hidden corners of the capital. This is one of the most picturesque and historical villages of the island with great colors and natural beauty. The streams start from the village and form awe inspiring waterfalls. Along the stream of the water there are twenty-two mills. In the center of the village there are some buildings with amazing architecture. A mile below the Lower Town is the old English school and the Venetian fortress, the portal of which is decorated by the lion of St. Mark, which is the emblem of the Serenissima Republic of Venice and also the emblem of the Ionian islands. 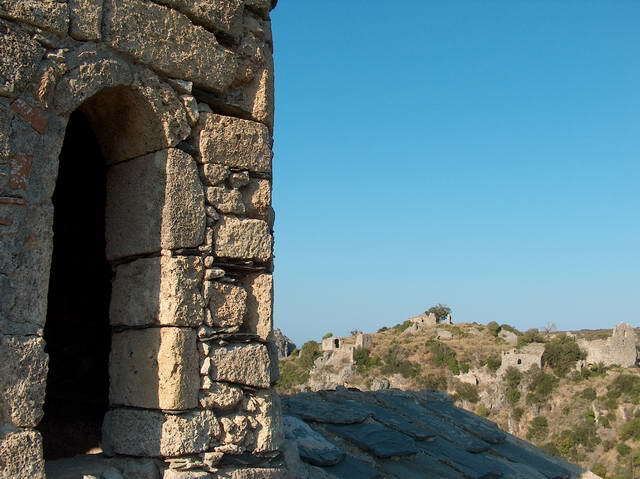 You can take some photographs of the many Byzantine style churches which offer great view of the Canyon of Milopotamos. Follow the road from here to the cave of Agia Sofia, where the expert guides will offer you a tour inside and then go to Limnionas beach, a small nice bay for swimming. Milopotamos is a whole world. The monastery of Panagia Mirtidiotissa (Virgin Mary) is located at the west, in a vast pine forest. The atmosphere of the monastery is breath taking. Explore the newest church and the church beneath. Learn about the history of the famous Icon and about the discovery of the Icon by a shepherd and how he built the first temple. 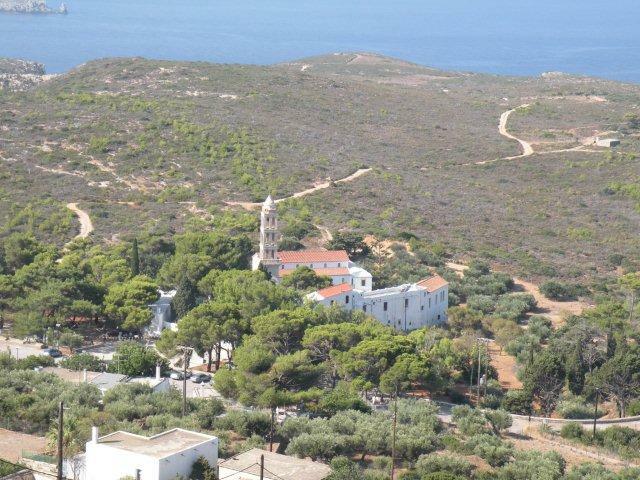 Then you can walk for one km, towards St. Nicholas (Krasas) church where you can enjoy the best sunset of the Ionian Sea. It is also worth visiting the monasteries of St. Elesas, St. Theodore, St. Moni and St. John. It is a medieval village, built at the top of the canyon of Kakia Lagada, on the south of the River. It was the island’s capital from the 13th century, until 1537, and it served as the inhabitants refuge, until it was pillaged and destroyed by the infamous pirate Barbarossa. Many of the inhabitants were massacred and others were sold in bazaars of the East as slaves. Nowadays Paleochora is a monument of the Kytherian history. The vilage remains in good condition and is open to visitors. In this area there are more than 40 Byzantine churches which are decorated with a lot of significant icons. 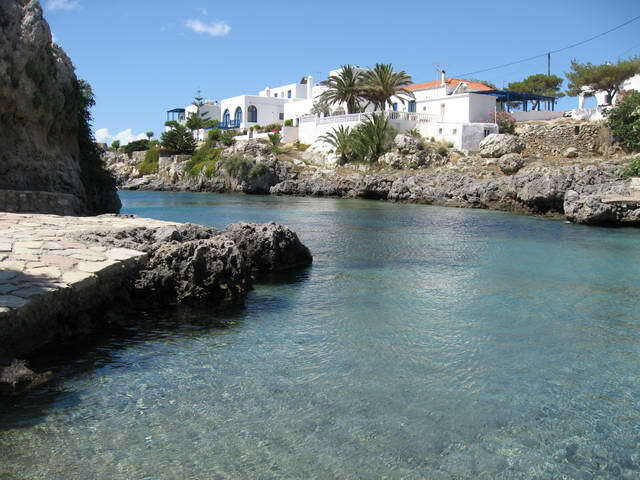 Do not neglect to visit Avlemonas, because if you do, is like you have seen half of Kythera. It is a seaside village with a nautical tradition. You will be excited with the coves where there are fishing boats. Walk in the paved paths on the coast, enjoy a meal with fresh fish at taverns and after that have a drink at the little port. The ornament of Avlemonas is the Castel, a Venetian fortress where it was held the supervision of the port. If you like walking, follow the path leading to the lantern of Avlemonas. Also if you prefer a little more difficult route climb St. George mount. For swimming, dive in the small creek or at the nearby great beach of Paleopolis. Karavas has many springs with excellent crystal clear water. It is a beautiful village in the northern part of the island. 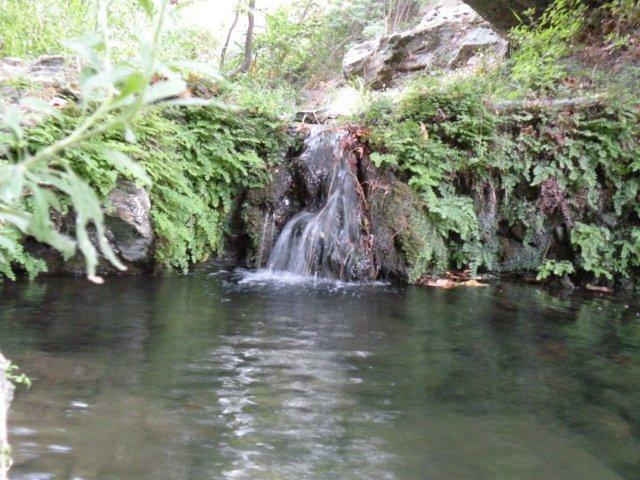 You can follow the street leading to the spring of Amir Ali, make a short stop for ice cream or a soft drink and continue walking in Lagadakia (little rivers). It is a delightful village with history and the birthplace of some greek personalities. Want to go even further? At the edge of the north, gaze at the ships crossing the Gulf of Laconia traveling from East to West and vice versa. 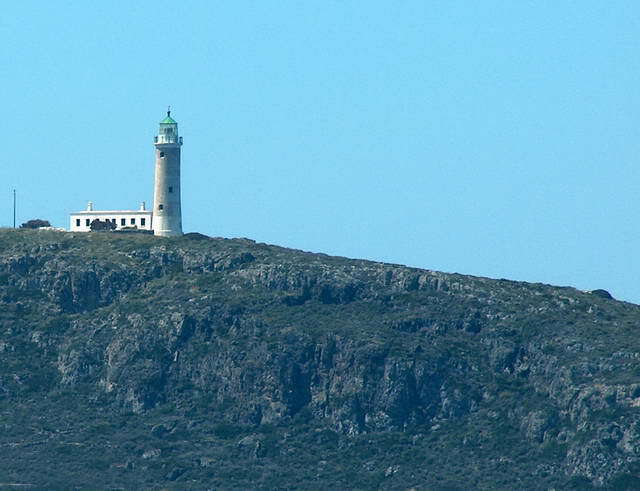 One of the most romantic places on the island this English lighthouse is 26 meters high. If you find the guard there, ask him to let you climb on the balcony. The view is amazing. 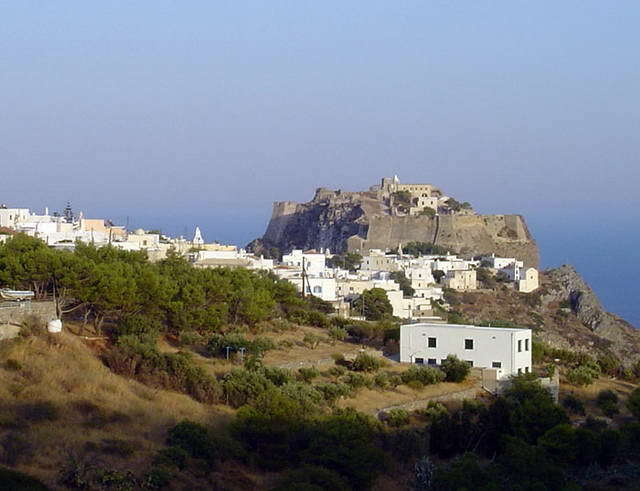 Potamos is the biggest village of Kythira. A famous traditional bazaar takes place in the central square every Sunday. Farmers and producers of all kinds of products come here to sell their goods. Here you can find honey, traditional rusks, cheese, pickles, jams, vegetables and of course the flower sempreviva, which is the hallmark of the island. At Katouni village (near Kato Livadi) there is a stone bridge of 110 meters length built by Kytherians workers during the British administration (Makfeil commander) period (1827). 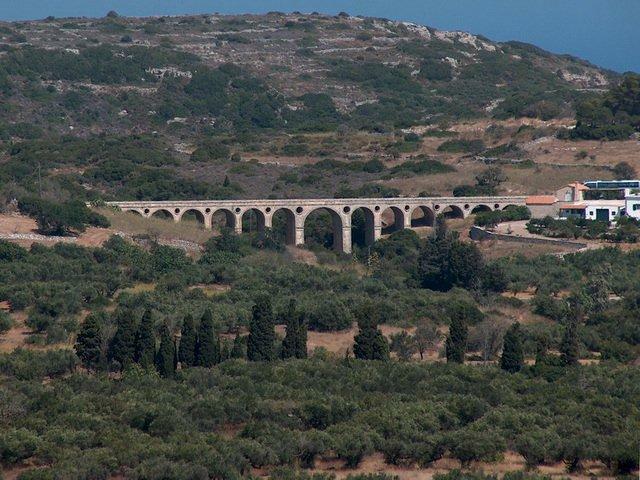 This magnificent bridge is a hallmark of Kythera. Don’t miss it!